Today I'm sharing some of the baby products we've purchased or received as gifts! I've enjoyed getting ideas from reading other blogs and I hope you find this post helpful, too (if you're expecting or know someone who is). Since I'm a new mom-to-be, I haven't tried these items out yet, but they all get great reviews and I'm excited to use them. 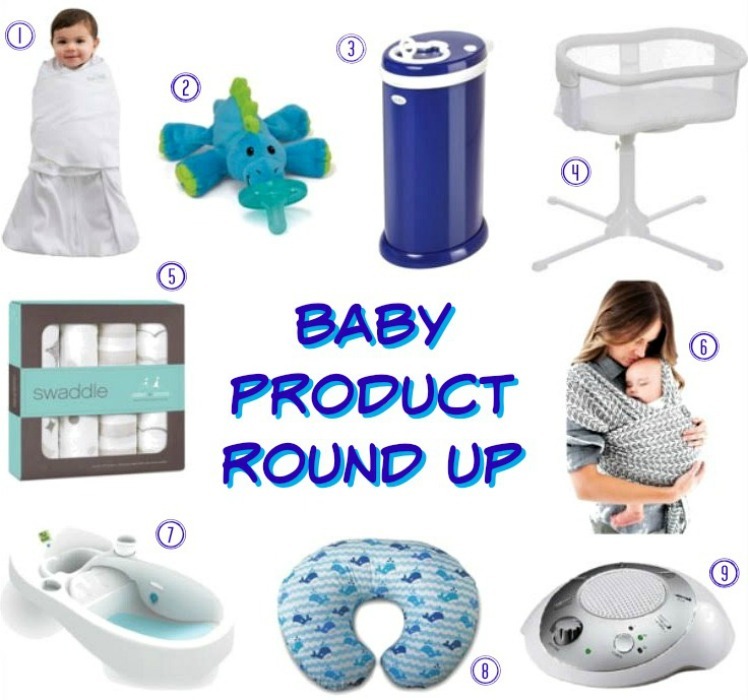 I'll be sure to review some of these products again after our baby is here and we've had time to use them. This sleepsack is safe and comfy for newborn babies to sleep in. I love that it has a zipper and makes it easy to get baby in and out (and change diapers)! It can also be adjusted 3 ways (arms in, arms out, hands to face). We have a cotton one (with cute elephants!) in newborn size (since it will be summertime) and the blue fleece in size small. We registered for the elephant and dinosaur and they are both so adorable! This pacifier is designed to help baby self sooth and have something to grasp. I think it's such a cute idea! This is definitely on the pricey side for a diaper pail but gets raving reviews, especially for odor control. 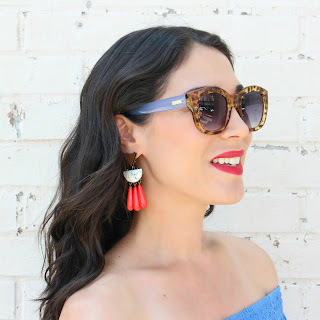 It comes in several fun colors and patterns. We went with the white one and it looks perfect in our nursery. I just love the sleek and modern design! I am super excited to try out this bassinet and I hope our baby likes it! I looked at several bassinets but kept coming back to this Halo one. We purchased the basic model in Honeycomb. I love that this bassinet rotates 360 degrees and comes up to the height of our bed (you don't have to get out of bed to get baby!). It's perfect for those middle of the night feedings and I know I will feel better with him by my side for the first few months. FYI, it does have a pretty large base! I've had so many friends and bloggers I follow recommend these swaddles. They are sold everywhere...Target, Babies"R"Us, Amazon, T.J. Maxx, etc. I registered for the 'Sailing Sea' swaddles with anchors, zigzag and sailboat patterns. They are really cute for a little boy! I researched several baby wraps and ended up purchasing this Moby wrap in stripes denim. Since our baby isn't here yet, I obviously haven't tried it out, but it gets excellent reviews and doesn't seem too complicated. I wanted a wrap that wasn't bulky and I also like the stripes denim pattern (will go with most outfits)! We registered for this infant bath tub on Amazon after reading great reviews! It features a built-in digital thermometer to make sure the water is a good temperature and also provides a constant flow of clean water (dirty water drains out side). I'm excited to try out this tub when the time comes! I registered for this gray whale boppy pillow at Babies"R"Us and received it at one of my baby showers. The pillow pictured in the collage above is on sale for $31.99 on Amazon. The boppy pillow gives your arms and back support during nursing and also props up baby when it comes time to learn to sit up. I've had several friends tell me that a sound machine is a must have to help baby sleep soundly! This particular machine was recommended to me by a friend. It's small and compact and has 6 relaxing sounds! It's also really affordable.